A little color is all it takes to offset dark Winter days. 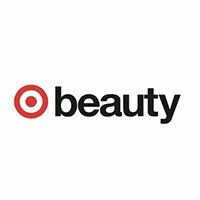 We've partnered with Target Beauty to brighten your mood (and your beauty look!) with a handful of colorful products. When Winter is in full swing, prioritizing your daily glam can be one of the first things to go. Who's going to notice anyways, right? Mornings are dreary, nightfall sets in at 4 p.m., and you're constantly bundled up under layers of clothes. But while this may be true, a little pampering can have a serious effect on your mood and overall confidence. That's why we're reviving your Winter beauty routine with the help of colorful beauty staples in a variety of punchy hues. Between soothing bath salts, foiled nail polishes, and playful makeup products, read on for eight options that will add color to your beauty look and vanity. The shiny yellow tube of this iconic, volumizing Maybelline® mascara probably looks familiar, but take a closer look. The purple hue may shock you at first, but when your eyes are the only thing visible under a scarf and hat . . . you might as well make them pop. Not to worry though — this shade is deep enough that it'll provide just the right amount of color without looking completely neon on your eyes. And if you're still feeling apprehensive, try applying some to just your bottom lashes at first. When it comes to eye shadow, two things can make it feel extra intimidating: dark shades and bold colors. But this Winter, challenge yourself to step outside your comfort zone and experiment with both. Thankfully, this 24-shade Profusion Naturals Palette has a balance of dark, sunset-hued, and neutral tones, making it easy to gradually incorporate more daring shades into your look. Don't let anyone tell you that a good lip product isn't the key to changing your entire look. To replace drying liquid lipstick formulas, Revlon's Kiss-Plumping Lip Creme in a bright, coral-toned pink meets every requirement of a cold weather-friendly product. The formula is ultrahydrating, the fresh shade provides a wearable pop of color, and the squeezable tube makes it easy to apply. Check, check, and check. Locking in a year-round glow is practically a beauty commandment, but, come Winter, that's easier said than done. When the sun isn't around to reflect light off your go-to highlighters, the Maybelline® Fairy Highlight Illuminating Powder will provide your cheekbones with the extra pop they need — without going full-blown unicorn. Pass your brush over all four pastel colors at once or dip into one or two at a time for a gorgeously subtle burst of color. You know what makes dreamy nail shades even better? Metallics. Though painting your nails is nothing new, the chrome and holographic finishes of these Essie polishes will give your mani a perfectly trendy upgrade. Even better, shimmery, glitter-based polishes are less prone to chipping, so you'll be able to admire your nails every time you take off your gloves. The warm sunset hues of these duo-fiber brushes almost made us forget it's Winter! To bring the vibe of pink Summer skies back into your mornings, pick up this colorful, chrome-finish brush set from Real Techniques. Though a seemingly small upgrade, you'd be surprised at how mood-boosting it can be to apply your makeup with these gorgeous tools. This Eva NYC ceramic flat iron will add a pop of color to your bathroom or vanity while being gentle on dehydrated Winter strands. Each pass on your hair will add instant shine to make styling extra efficient. Even better, you can also use it to add curls and texture — perfect for travel! Feeling like you need to treat yourself? Draw up a warm bath and add some color with these fun ombré bath salts from PREP. Not only are they incredibly Insta-worthy thanks to their colorful hues and minimalist packaging, but they're a true treat for your skin, too! They moisturize, soothe, exfoliate, and soften. Say hello to your perfect at-home spa night!